Los Angeles, CA – No love was lost when Toughlove America, LLC sued Drew Barrymore’s production company (Flower Films, Inc.) and MTV Networks for trademark infringement and Lanham Act § 43(a) unfair competition. In the lawsuit, filed at the Federal District Court in Los Angeles, Toughlove alleges that the Defendants’ new “Tough Love” reality show will infringe its registered Toughlove® trademark. Plaintiff complains that its licensor first began using the mark in 1979 and the “Toughlove trademark has grown to symbolize a distinct approach to peer-to-peer, self-help, and psychological counseling programs.” In addition, Plaintiff states that it began developing a Toughlove television show, which it described as a hybrid between “Dr. Phil” and “The View” in its Mach 2007 submission to the Directors Guild. 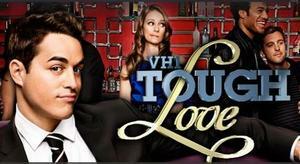 Defendants’ reality television series, entitled “Tough Love,” is set to air on March 15, 2009. The complaint alleges that the “reality show will be about individuals with romantic relationship problems – the very same types of relationships indicated in [Plaintiff’s] pending Toughlove trademark application and expressly set forth in Toughlove’s concept for its television programs.” Plaintiff alleges that Defendants were notified of Plaintiff’s prior rights, but Defendants have refused to change the name of their show. The case is titled Toughlove America, LLC v. MTV Networks Company et al., CV 09-1521 SJO (C.D. Cal. 2009).